Introducing Billi and Zion! Billi Kraft, Video Banking Supervisor, has been a part of video banking since the beginning in June of 2015. For November, First Security has decided to partner with PAWS Humane Society in Charles City to help spread awareness of animals available for adoption, all in efforts to find fur-ever homes before the holidays. Introducing Sara and Magic! Sara Titus has been a part of our Video Banking team for almost a year. Immediately when arriving at PAWS, Sara fell in love with the young kittens and the idea of fostering animals. For November, First Security has decided to partner with PAWS Humane Society in Charles City to help spread awareness of animals available for adoption, all in efforts to find fur-ever homes before the holidays. As consumers step up their online shopping leading up to the holidays, it’s a prime time of the year for identity theft. While you are busy snagging hot deals on Black Friday and Cyber Monday, thieves are phishing for your information. Introducing Sydney and Simba! Sydney Keifer joined our Video Banking team in early May to work the evening shifts. She was anxious to begin our Banking Outside the Box volunteer activities. She was by far most excited to get to spend her day with kittens! For November, First Security has decided to partner with PAWS Humane Society in Charles City to help spread awareness of animals available for adoption, all in efforts to find fur-ever homes before the holidays. Introducing Kendra and Buddy! Kendra Thomas joined our Video Banking team in early September and was immediately excited to begin our adventure, “Banking Outside the Box”. For November, First Security has decided to partner with PAWS Humane Society in Charles City to help spread awareness of animals available for adoption, all in efforts to find fur-ever homes before the holidays. Today is the kick off for Banking Outside the Box, a campaign meant to highlight our Video Bankers and their involvement in the communities they serve. Identity theft continues to be one of the fastest growing crimes in the United States. In 2016, there were 15.4 million victims of identity fraud in the U.S., according to Javelin Strategy and Research. First Security recommends following these tips to keep your information – and your money – safe. Kurt Herbrechtsmeyer, president and CEO of First Security Bank & Trust in Charles City, has been elected chair of the Iowa Bankers Association (IBA) for 2017-2018. Herbrechtsmeyer began his term as chair during the IBA Annual Convention, September 17-19 in Des Moines. Changes in the rules for Automated Clearing House (ACH) credits and debits will go into effect September 15, 2017. Once these changes begin, virtually all types of electronic payments for both credits and debits may be processed on the same day that they are originated. This will speed up the payment system, which is a great benefit when you are receiving a payment. However, this also means that when you are making a payment, it will now clear faster. Read more for examples of same day payments. Doing more in less time; you know that's how technology can help you work smarter. But do you realize you can use it to bank smarter, too — and get more out of your money in a lot less time? The television commercials make it look so easy; parents tearfully wave goodbye as their child sets off on their journey to college. Then, when the child is out of sight, those same parents excitedly race off to transform the child's room into a playroom or reading retreat. That's the scripted version. The reality is quite different. As new college students across the nation head back to school, they face a new reality of financial responsibility. Living away from home comes with many temptations, but indulging too much can do serious harm to a student’s credit history. Could your identity weather a natural disaster? Mother Nature’s extraordinary powers of destruction leave survivors struggling to put their lives back together. According to the Federal Trade Commission, the agency received more than 400,000 complaints in 2016 from consumers reporting they were victims of impersonation scams. One of the most common is called the “Grandparent Scam,” which uses impersonation tactics to deliberately target and exploit older Americans. Ah, spring! It's the season of renewal, when we can count on longer and brighter days, the return of baseball and the urge to get the house in order. That goes for many people's financial houses as well. Spring is a good time to comb through your personal finances and ensure that you're managing your budget, credit cards, investments and insurance in the best possible way. Here's how to get started. Hardwood floors. Sleek new appliances. Back yard landscaping. If you own a home, chances are you have a pretty good idea about the steps you can take to improve it. But did you realize you can freshen and improve another aspect of your home? 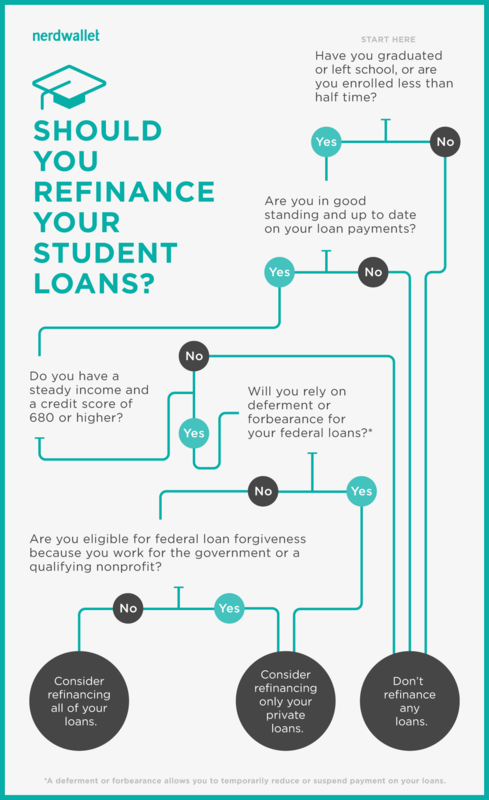 You can make over your mortgage by refinancing. Human beings are habit-creating machines, craving any mental or physical shortcut that lets us focus on higher-level thoughts, such as what’s for lunch or developing theories about Netflix dramas. The weeks leading up to April 15 – tax deadline day – are often vulnerable ones for consumers, as W-2s and tax returns containing their personal information circulate over the internet and through the mail. Have you ever developed a gut-wrenching fear in the pit of your belly or a feeling of despair when you thought about creating a household budget? Consider thinking about it as a "spending plan". A budget is simply the framework for planning how to spend and save your money. Follow these simple steps to create your own spending plan. If you’re like many people, the holidays cause more financial stress than any other time of year. Figuring out how to afford gifts, décor and food for the big feast is often overwhelming. You might never be able to remove all of your holiday money worries, but you can alleviate some of them. Even though your shopping list might continue to grow while your wallet shrinks, you can enjoy this season without breaking the bank. Here are five ways to survive holiday financial stress. Thanksgiving is a time to gather with loved ones for a satisfying meal and kick off the holiday season. If you pay current prices for your menu items, though, you could blow a chunk of your holiday budget before you even get to the pumpkin pie. Cyberattacks seem to be making national news more frequently these days. And although most of the coverage focuses on large companies or government organizations being hacked, individuals often fall prey to cybercriminals as well. To help stay on top of your personal and financial security while continuing to enjoy the benefits of banking, buying and investing online, make sure to take these five precautions. Sometimes it's smarter to buy certain items according to the season, like sweaters near the end of winter and swimsuits in late summer. But what's the best season for buying a house? The answer: the fall. As temperatures cool and trees shed their leaves, enough factors break in the buyer's favor to make it the No. 1 season for homebuying. Here's why. Life may be unpredictable, but there are certain things you can bank on; the sun always rises in the East and sets in the West, and the start of the school year will always come, no matter how much children may try to will it away. It's easy to ignore the misguided dating advice of elders at family gatherings, so why do we let the financial tidbits sink in? Money advice often gets woven into humdrum conversations between family and friends, and it can be hard to know what to take seriously. Here are some financial “tips” to let in one ear and out the other. Consumers are increasingly using their smartphones, tablets and other mobile devices as "mobile wallets" to pay for goods and services, downloading software that allows them to complete both mobile and in-person transactions. As the use of mobile wallet services increases, consumers need to protect their smartphones, mobile wallet applications, associated data, and mobile wallet services from theft and cyber-attacks. Who is Most Vulnerable to Identity Theft? Think identity theft mostly happens to older people? Or to high-income earners? The truth is that identity thieves focus their efforts wherever the opportunities are, and there are plenty of opportunities across most age groups. Identity theft complaints are on the rise, with 16 percent of consumers filing reports, up from the previous year, according to the Federal Trade Commission’s 2016 Consumer Sentinel Network Databook. Tax- or wage-related fraud was the most common reported identity-related fraud, accounting for 45 percent of consumer complaints, followed by credit card fraud and phone or utilities fraud representing 16 and 10 percent of complaints, respectively. The vast majority of older Americans want to remain in their homes as they grow older, also known as aging in place. A strong password is a great way to prevent hackers and identity thieves from accessing your accounts. But what if you share it with someone you know? Many teens and young adults are giving passwords to friends or loved ones as a sign of trust or love. After all, sharing is caring, right? But what might seem like a milestone in a relationship can turn out to be a very harmful decision. In March 2011 President Obama issued a proclamation establishing April of each year as National Financial Literacy Month in an effort to highlight the importance of financial literacy and teach Americans how to est ablish and maintain healthy financial habits. When buying a home, it is easy to get caught up in emotions. You fall in love with the new kitchen or giant yard, but the largest purchase for most people requires some objective consideration. The best way to determine if a house has the potential to be your dream home is to visually apply your daily life to it. Sometimes, building a healthy cushion of savings can seem like a daunting task. We all know how easy it is to make a late credit card payment, or to end up spending all of your paycheck without remembering to save part of it. One easy way to get started on saving this America Saves Week is to automate your savings. Having technology work to save money for you takes much of the effort out of the equation, saves time, and makes it easier for you to achieve your goals. Give chocolates, flowers or a new scent for Valentine’s Day. Don’t share your passwords to online accounts. It may be one way to prove your love, but it could lead to trouble, including identity theft. First Security is urging customers to take an active role in protecting their data. Here is the IRS’s phone number: 800-829-1040. With an anticipated $21 billion in tax refund fraud this year, you might need it. And that figure doesn’t include losses from dodges like the IRS phone scam, which has been enjoying a renaissance of late. IRS phone frauds aren’t terribly difficult to detect. You get a call from the IRS saying you owe money and that you must pay immediately. The threat of police intervention may or may not accompany this hot and heavy approach. Here’s the one-step method: hang up. The IRS doesn’t call asking for money yet. The holiday season can be a frantic time for shoppers. For those that decided to forego the craziness of Black Friday, they can instead opt to shop online for Cyber Monday. This anticipated shopping event still offers discounted prices on items, but runs the same identity theft risks as Black Friday. Identity theft doesn’t take a vacation—even when you do. As winter sets in, the bogus offers go out: phishing emails that can unleash malware on your computer, so-called free vacations and prizes that require a credit card or Social Security number to claim, and low-cost vacation rentals that can lead to a quick gotcha. October is a really fun month. The weather is turning, fall is in the air, and of course, there’s Halloween! But how can consumers make sure that October is full of treats, while not falling for any scammers’ tricks? By arming themselves with the facts and the resources to protect their personally identifiable information. True or False? There was no way the Office of Personnel Management could have prevented hackers from stealing the sensitive personal information of 4.1 million federal employees, past and present. If you guessed “False,” you’d be wrong. If you guessed, “True,” you’d also be wrong. Cyberbullying can start as early as second grade, often peaks in fourth grade, and returns in the seventh and eighth grades, according to Parry Aftab, an Internet safety and privacy lawyer. More than 85 percent of 45,000 students at North American schools admitted to being targeted in the past year, according to a survey conducted by Aftab. During the 2014-2015 school year, First Security Bank & Trust reached 178 area high school students with important and innovative financial education. It may seem like common knowledge, but it is actually one of the hardest things to do. When there is a correction in the market, A common reaction IS to sell to stop the losses. Unless time traveling is invented, we’ll never know what will happen in the future. This is why it is always important to have a margin of safety in every investment you venture into. Dollar Cost Averaging is a technique of buying a fixed dollar amount of a particular investment on a regular schedule, regardless of the share price. I’m sure you all have heard, “Past performance is no guarantee of future results.” While this is definitely true, past performances are still very good indicators of how companies may perform again in the future, or under certain market conditions. Sometimes it is harder to admit that we need help in life and the same is true with investments. One of the biggest investments parents do is for their child. With the job market becoming very competitive, a college education can give a child an advantage.